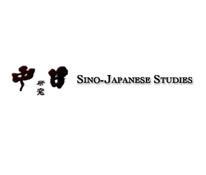 The idea for Sino-Japanese Studies (SJS) came to its editor, Joshua A. Fogel, in 1987 or 1988, and he called together a small group of five or six people who met in a hotel room at the annual meeting of the Association for Asian Studies in 1988. Later that year the first issue of SJS appeared. At first, it was envisioned as a Newsletter and bore that word in its title, but it soon became apparent that this was no merely ephemeral newsletter, and from issue number two it has been SJS. From the start, SJS was conceived as a journal devoted to studies of China and Japan together, irrespective of discipline or time period. For many that would take the form of comparative Sino-Japanese research, while for others that meant actual Sino-Japanese interactions. Everyone involved has been committed to fostering this sub-field which at once covers both the China and the Japan fields while, at the same time, examines where these two meet.